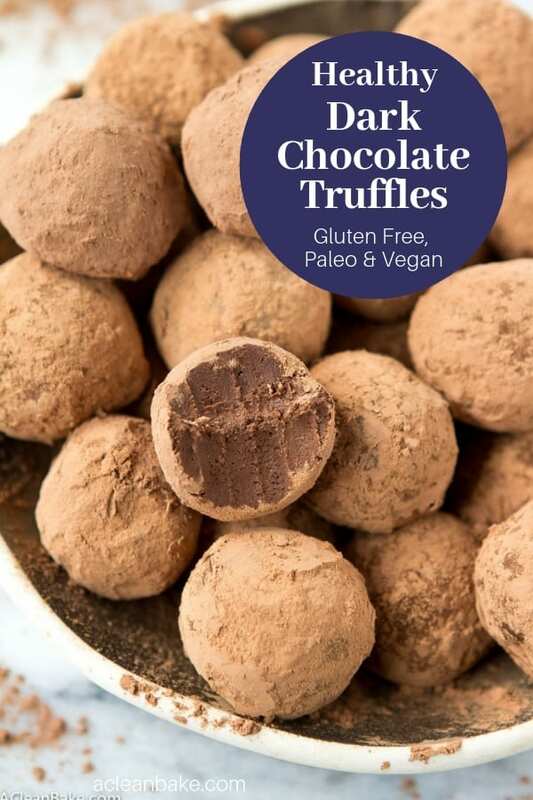 No dairy or refined sugar in these chocolate truffles, and you’ll never guess what the heart-healthy secret ingredient is! They’re incredibly easy to make! 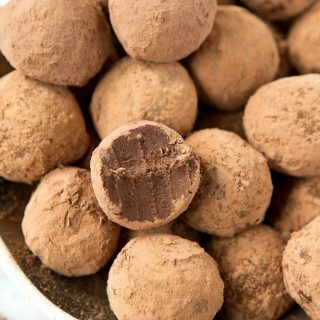 I wish I could say there was some interesting story of the inspiration behind these truffles, but the truth is that they’ve just been in the pipeline for Valentine’s Day after a fleeting thought last year about how easy it would be to turn this chocolate mousse into a truffle. Actually, maybe it is a little exciting that I managed to actually execute on a recipe that I had the idea for a year ago (though the latter happens a lot, the former almost never does). But that says more about the recipe itself than about my organizational skills. 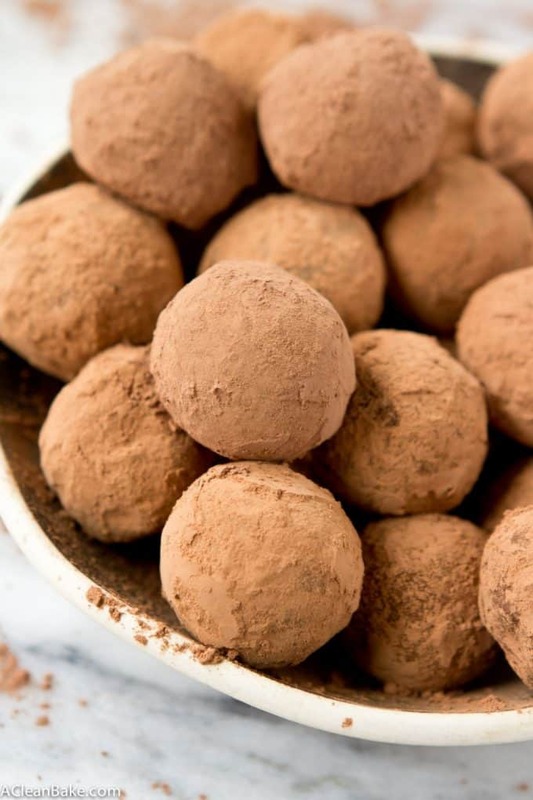 If anything, I’ve just been counting down the days until I had an excuse to make these luscious, silky dark chocolate truffles. What better excuse than Chocolate Month? What’s that you say? You call it February. Well, obviously you missed my last post. Because I’ve decided – and I hardly expect to get any opposition to this – that the only way to get through this cold and dreary month of winter (Except yesterday, which was bizarrely warm. Not that anyone complained. ), short of disappearing to the tropics for 3 of the 4 months, is to really embrace the whole Valentine’s Day thing, however hokey, and not let go for a second. We’ll fortify ourselves for this feat of strength with chocolate. 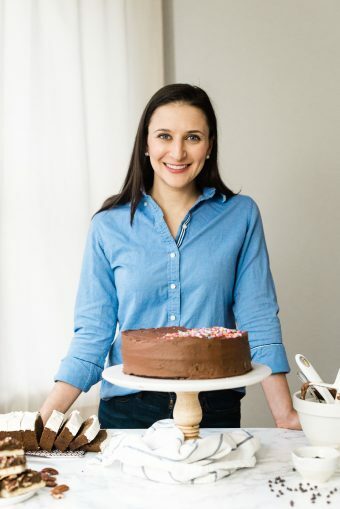 I challenge you to find any store bought Valentine’s Day treat that can humblebrag like that, and doesn’t taste like tree bark (which these most certainly do not). The (heart-healthy) secret ingredient? Well… I’ll let you make them and find out for yourself! 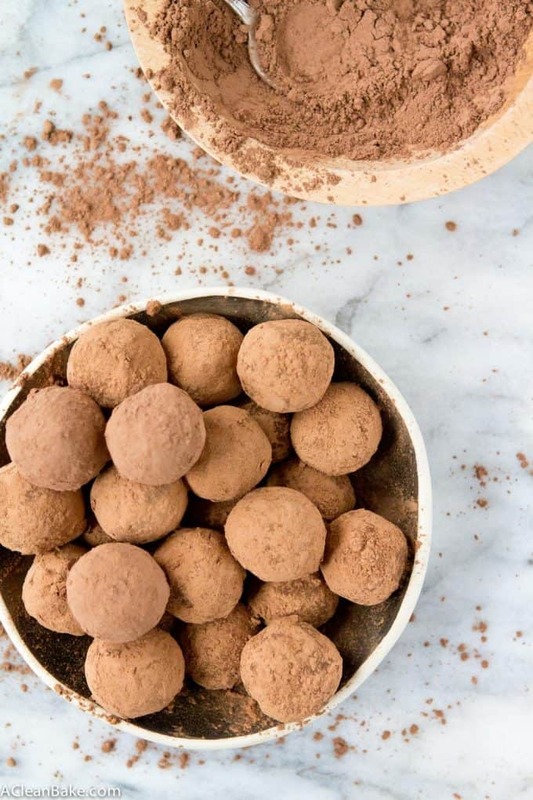 No dairy or refined sugar in these chocolate truffles, and you'll never guess what the heart-healthy secret ingredient is! They're incredibly easy to make! 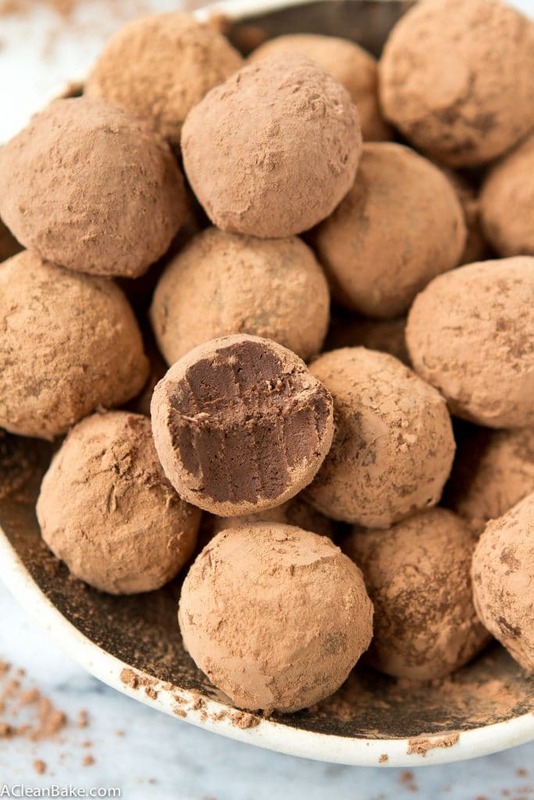 Roll truffles in cocoa powder immediately before serving.